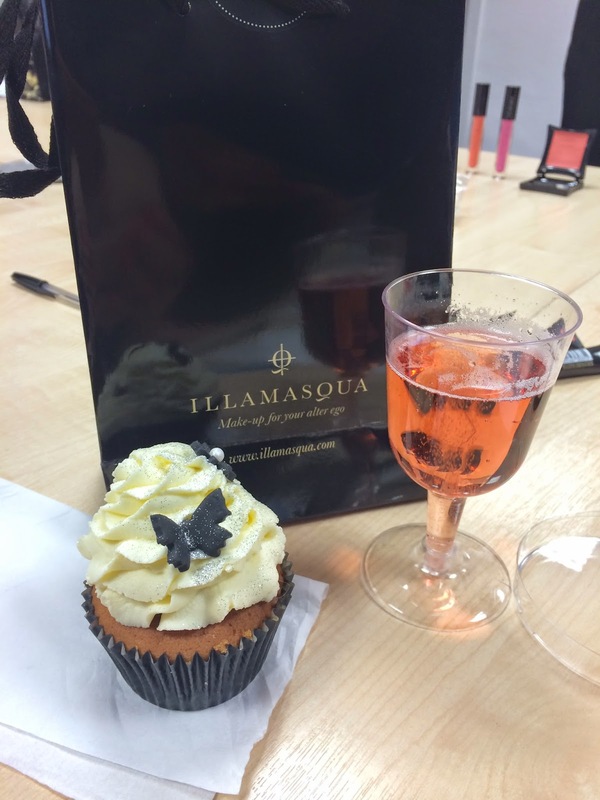 I was lucky enough to be invited to an evening with Illamasqua last week and thought I'd share my experience and thoughts! 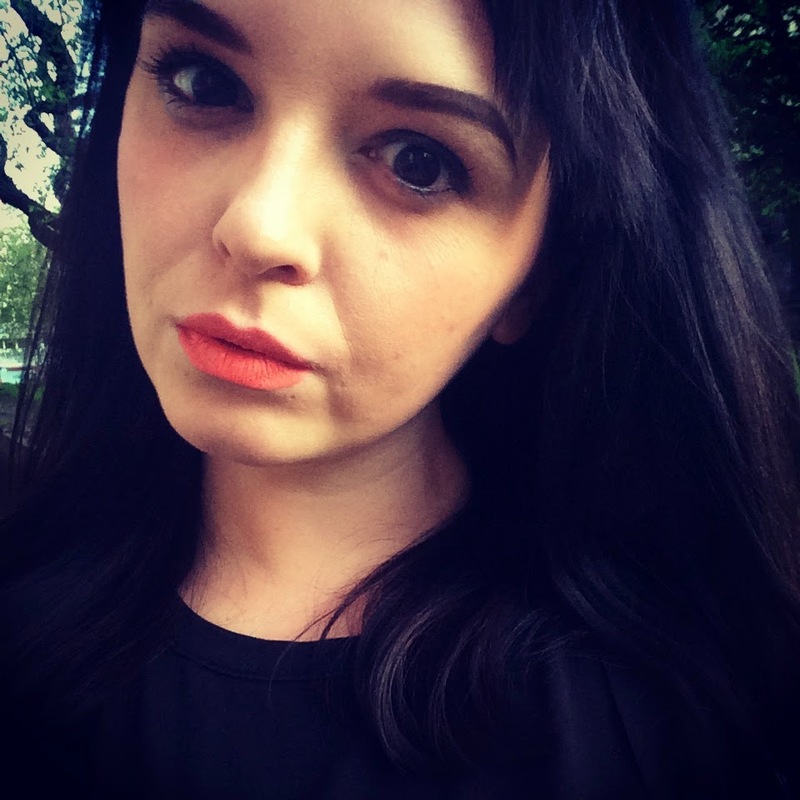 At first I was slightly apprehensive because I've been to a blogger event before and it was just a walk around the counter and pretty much just took 10 minutes. But... you've gotta be in it to see it eh?! I waited at the counter for the other girlies to arrive and decided to have a peruse around the products. 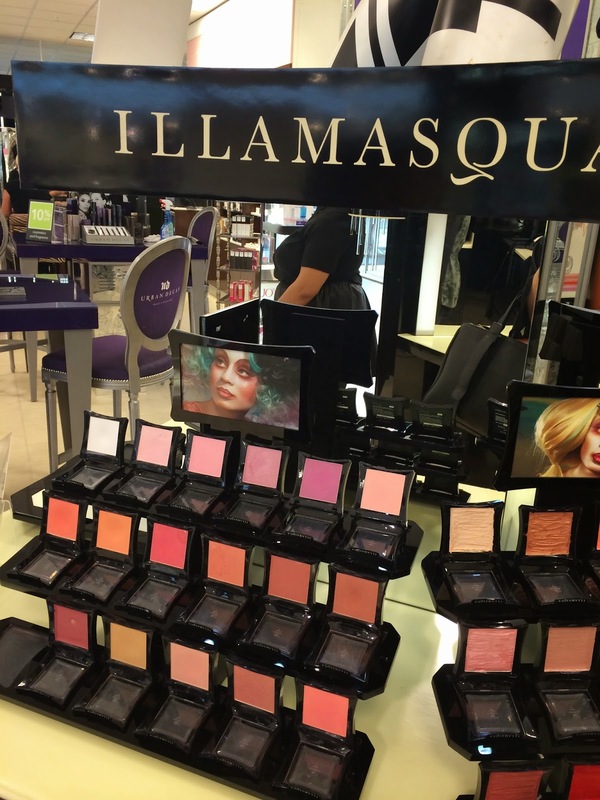 I soon got chatting and had to admit that I was an Illamasqua virgin.. much to the surprise of the lovely counter ladies! 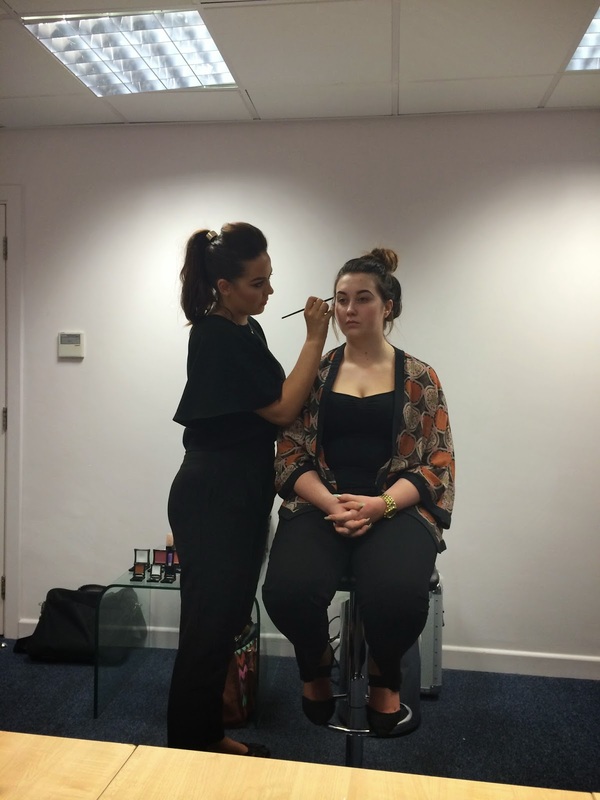 The event was held down in the depths of the store in a private room and although 6 bloggers were invited only 4 of us turned up! Fine by me though... more chance for us to ask questions! We were greeted in the room and given a lovely glass of Cava, a yummy looking cupcake and a gift bag! We got ourselves settled and introduced and the demo's began! 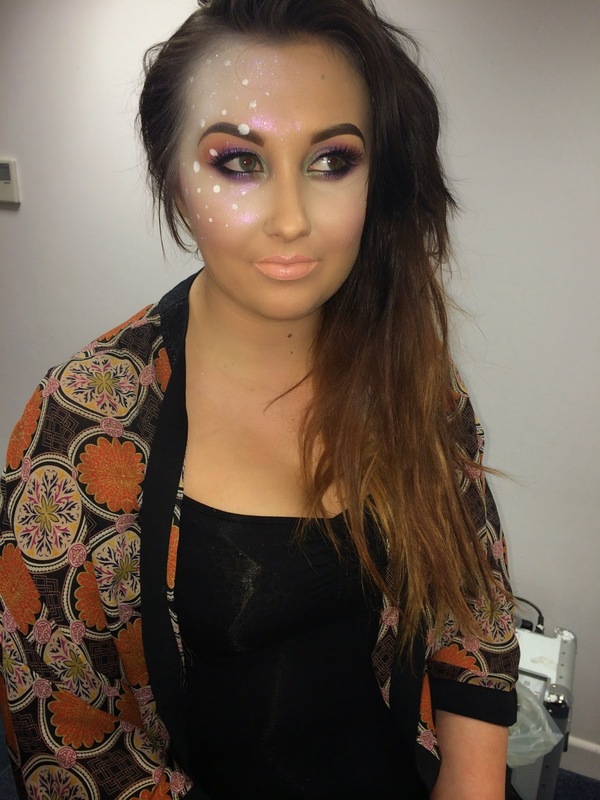 The beautiful Zoe Peplow, Illamasqua's UK brand Ambassador, took centre stage with her lucky model and co-worker! 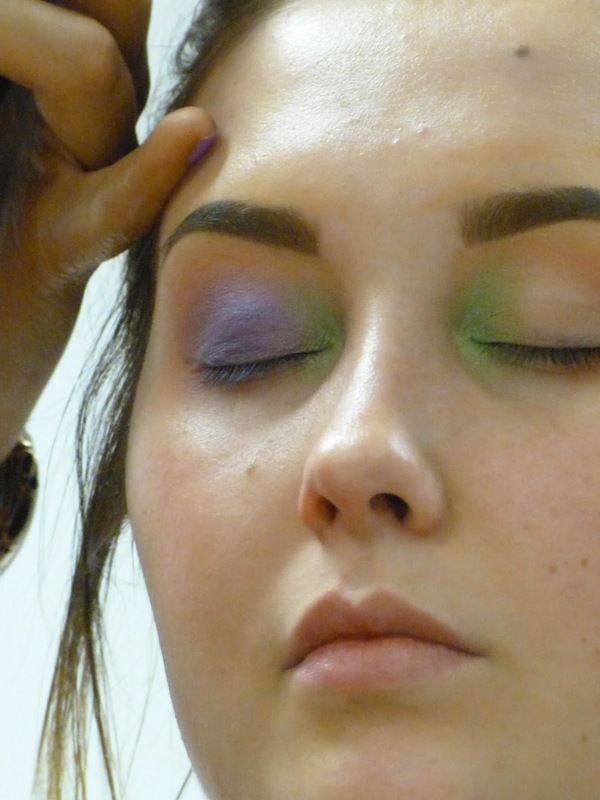 Zoe first worked on the Leanne's brows, first using their new primer 'Hydra Veil' - this helps control the brows and works as a great base for the next product- Eyebrow Cake in 'Thunder'. The brush Zoe used is something they all swore by.... its the 'Angled Brush'. 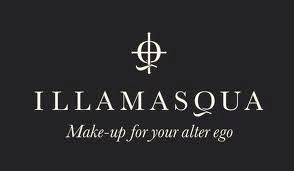 All of Illamasqua's brushes are synthetic so they don't shed their hair or misshape. The shape of this brush is perfect for brows and creating either a bold brow look or something more natural and smouldering. This brush retails at £19, yeah its pretty steep but.. I can assure you its worth it! More to come later on that! This palette is wow, bold! 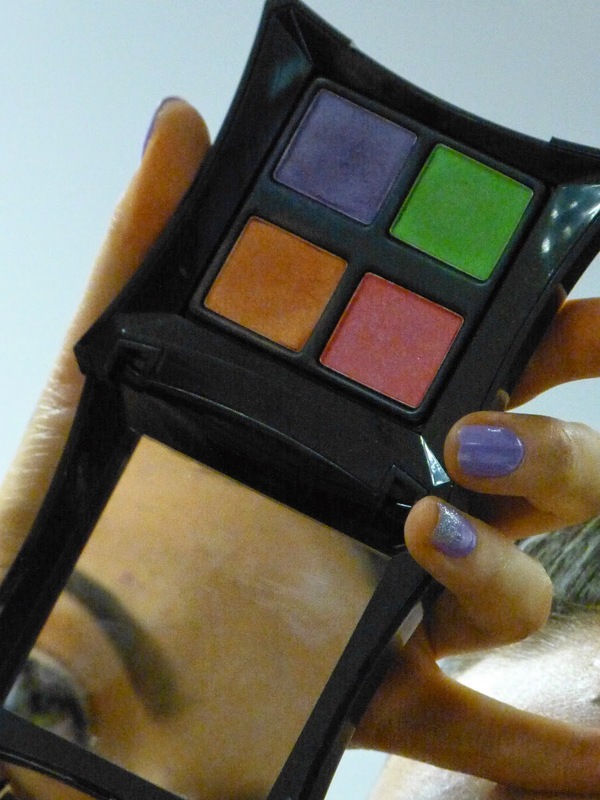 The water resistent eyeshadows have a bizarre consistency, sort of between a cream and a powder...very pokeable! 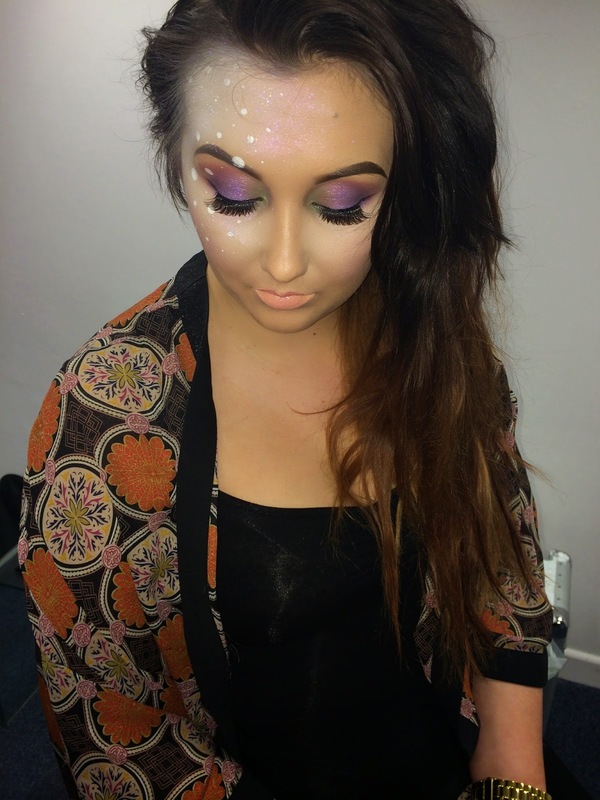 When being applied with in a circular motion with blending brush the outcome was amazing, really natural and soft! 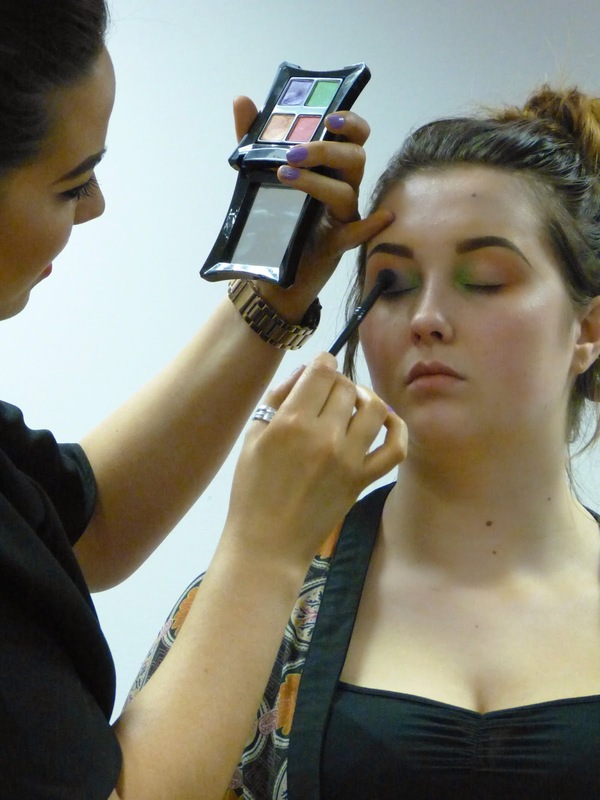 They gave us a great tip... hold the brush right near the end and the look will be more natural and blended! Matte Veil- This cream creates a long lasting shine free base for your primer and foundation to sit on whilst reducing oil and shine! Hydra Veil- cooling gel with micro Algae which helps reduce redness. Best applied with brush.. don't waste your products on your hands ladies! How cute does she look eh! Now i know it isn't something you'd wear on a normal day.. but I love the detail and its something that shows how durable their makeup can be, how adaptable! I'd completely agree with numbers 2-5 but maybe not the Veils for me. They don't seem to make that much of a difference to usual primers but are a lot more expensive... have you tried either? and a small sample of Hydra Veil which I've used up already. girlies were right... you can't buy the cake without the right tool! I've already tried all the products out and i must say... 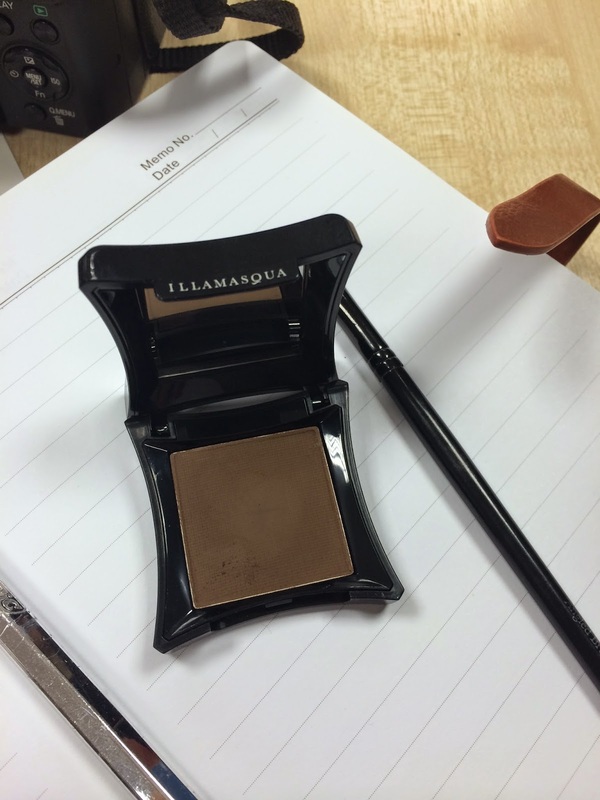 I love love love the bronzer and brow cake! 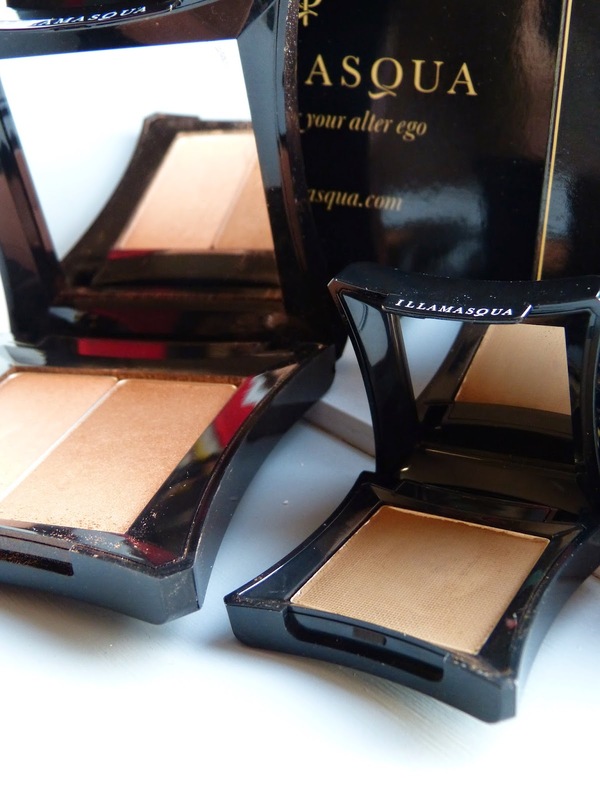 The bronzer is so pigmented you only need a tiny bit along with the highlighter. Its great for contouring! 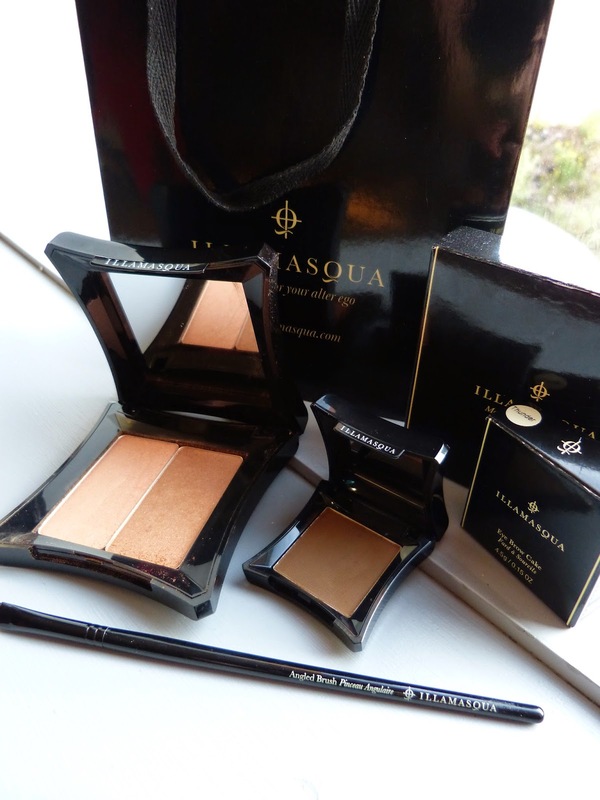 I'm still planning on sticking with Mac for my foundation and primer, I like what I know.. but I'm loving the new colours and textures introduced to me by Illamasqua. Its all a bit more exciting and bold! Thanks to the lovely ladies too for having us! Have you found any essentials in the range that I need to try? some lovely pics and great tips!